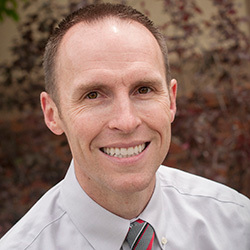 Dr. Scott Allen started practicing with Dr. Jay Harris in 2008 at Harris Dental. Harris Dental then became Harris & Allen Dental. He enjoyed practicing with a great mentor and friend. Dr. Harris retired in 2015. Dr. Allen is now practicing on his own with all the great team members at Allen Dental. 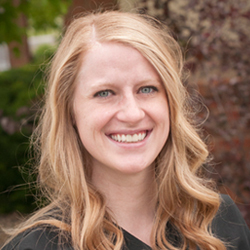 Dr. Allen graduated with high honors from University of Colorado School of Dental Medicine. Dentistry is more than a career for Dr. Allen he truly enjoys all aspects of dentistry. He treats patients of all ages from the first time 2 year old to the aging great-grandparent. Dr. Allen regularly attends continuing education courses to help him deliver the most advanced, yet proven dental techniques available. Dr. Allen spends most of his spare time with his wife and 4 young children. He enjoys golfing, working in the yard, and playing basketball. 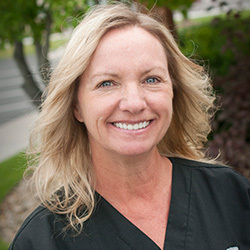 Julie has worked at our office as a dental hygienist for almost 15+ years. She is fun-loving and enthusiastic about everything she does. We’re so glad she is with us. Julie loves just about anything that gets her outside and moves really fast! She also enjoys scrapbooking and hiking. It is very important to treat each patient’s individual needs. The integrity of Dr. Allen is unmatched anywhere. 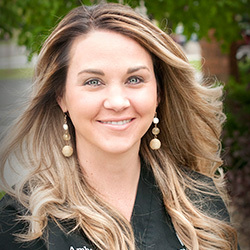 Amber is a dental hygienist that has worked for us since high school. 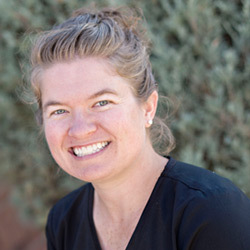 She has done about every job in our office starting out as a sterilization technician, front office, dental assistant, and now a great hygienist. She is married to her best friend and they have 2 beautiful children. She loves spending time with her family and playing sports. I love the atmosphere of our office. I take pride in getting to know each of my patients for who they are. We are more than just a team at Allen Dental we are a family. 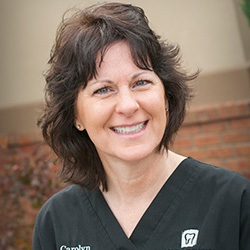 Carolyn has been serving patients as a dental assistant for many years. Patients quickly see that she is easy-going and gentle. 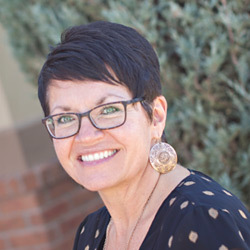 Like all the other members of the Allen Dental team, Carolyn is amazing at what she does. Carolyn loves hiking, gardening, reading and plays a mean accordion and piano. She and her husband are the parents of 3 children. Every patient can be assured of exceptional care with every visit. 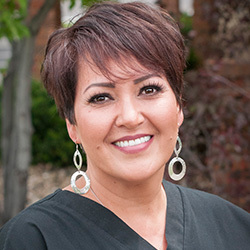 Nari has been working for us as a dental assistant forever. She took a few years off and it just wasn’t the same around here without her, so we are so glad she’s back! She loves big (and little) dogs, loud-jacked up pickups, horses, and most of all her -pride and joy- grandson. Smiles and laughter are one of the most important things in life. I love helping people find their smile. Rosa is our wonderful dental assistant. She has 20+ years in the dental field and is fluent in both English and Spanish.She has an amazing husband and four kids. She loves cake decoration, the outdoors and her cool family. I love dentistry because it gives me a chance to help people and give them back their beautiful smile. 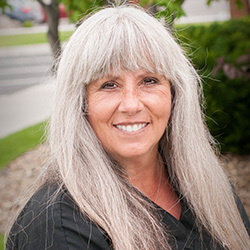 Debra has worked as a dental assistant in our office for her entire career. She is compassionate, smart, loyal, and skilled. We are so lucky to have her here. 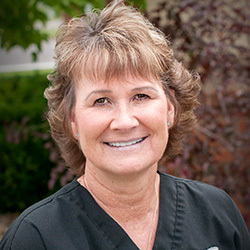 Patients love Debra’s quick smile, charming manner, and attention to detail. Debra is married and has 3 children. She loves animals and spending time with her family. I love to see the positive changes we make in our patients’ lives. I feel fortunate to be a part of a high-tech practice. Courtney is the one behind that friendly smile you see as you come in the front door. 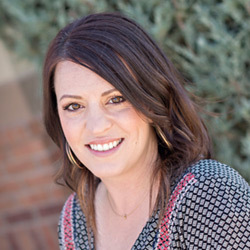 She has 12 years of dental assisting experience and is now our hygiene coordinator. Courtney is happily married to her best friend and they have 4 darling girls. They and their dogs love spending time in the outdoors, camping, and riding motorcycles. Everyone deserves a warm welcome into our office.